Home Future of Education Technology How Are Learning Analytics Being Used in Education? Guest writer Andrianes Pinantoan sheds some light on this emerging education technology. The concept of learning analytics evolved in the first decade of the twenty-first century, thanks in part to new opportunities in data mining. As data sets available to researchers got larger and larger, researchers have been able to better measure and analyze how learners approach and understand new knowledge in various educational environments. The difference between learning analytics and other pedagogical theories in that it focuses on understanding how learners react to different educational contexts – and it accomplishes this by studying large amounts of data about learners and their environments. Learning analytics is still in its infancy though. 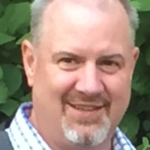 To provide further insights into what learning analytics can offer, I searched out a few recent articles about applications of the technology, and share some findings here. With the advent of computers, the internet, and what researchers call “technology-enhanced learning”, many educators have wondered just how effective the new virtual classrooms are. Some research has attempted to answer this question using learning analytics methodologies. One study looked at students participating in a massive open online course (MOOC) to see how students responded to the new classroom. 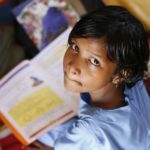 Besides concerns about the need for basic computer literacy and self-discipline for a student to succeed, the study also pointed to the ethical and privacy concerns behind this new classroom environment. Other studies have focused on how today’s evolving classroom environment offers teachers new opportunities to reach students. Last December, a study by Hendrik Drachsler examined how learning analytics helps us understand which forms of technology-enhanced learning (TEL) are most effective and which are not. The study concluded that learning analytics is a useful tool to understand how accurate, precise, and complete TEL environments are, and argued that a quantitative study of students exposed to TEL can help us predict how positively students will evaluate the experience. 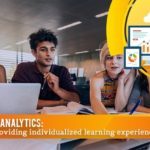 So not only will learning analytics be a powerful tool to personalize learning experience, it will also help us predict student satisfaction before the class is over. Student evaluations are naturally a limited measure to gauge the effectiveness of a particular learning environment, and researchers using learning analytics methodologies have not limited themselves to such a narrow focus. Another study from Belgium looked instead at how learning analytics can help learners choose which learning resources might be most beneficial for them. This is achieved by studying various information about learner behaviour in virtual learning environments, such as how long they spend on a webpage, how many mouse clicks are required to perform a task, and so on. The study suggests that learning analytics can put learners in control of their educational experience and more. Because learning analytics is in its infancy, much of the research being done in this field is an attempt to improve the methodologies and theoretical assumptions behind the study and not on applying it to a classroom context. This makes many studies of limited value to teachers in the classroom, but a team of researchers led by Liaqat Ali at Simon Fraser University is hoping to reverse that. 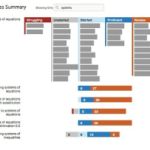 Ali and three other scholars designed a learning analytics tool called LOCO-Analyst, which provides teachers with charts, graphs, and other data representations that help educators see how their students are performing in web-based learning environments. It also analyses how students interact with one another in the virtual classroom to give teachers a clearer idea of how engaging their online learning environment is. While this tool is a first step to help make learning analytics more helpful for teachers who are or are considering teaching in a virtual learning environment, there is still much work to be done on the methods behind learning analytics. Andrianes Pinantoan is a staff member of Open Colleges, an education provider of TAFE courses. When not working, he can be found writing about the latest development in the education industry.